Measurement device for the determination and control of alkalinity. 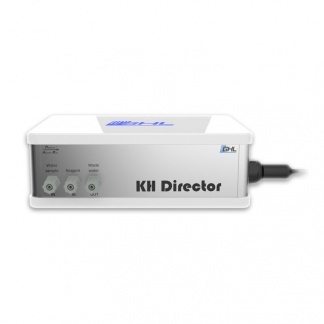 The KH Director® is designed to work in conjunction with a GHL Doser 2 (2.1) Standalone (NOT INCLUDED) or a ProfiLux® Aquarium Controller 3 or 4 with a Doser 2 (2.1) Slave (NOT INCLUDED) for operation. KH Director requires 3 dosing pumps to operate! If you do not have 3 unused pumps, we recommend purchasing a KHD/Doser 2.1 Set. ***Shown item is for KH Director ONLY. 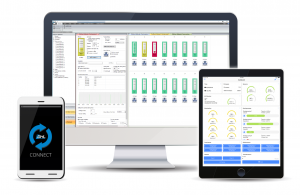 KH Director® gives you the flexibility to run the device in one of two ways. 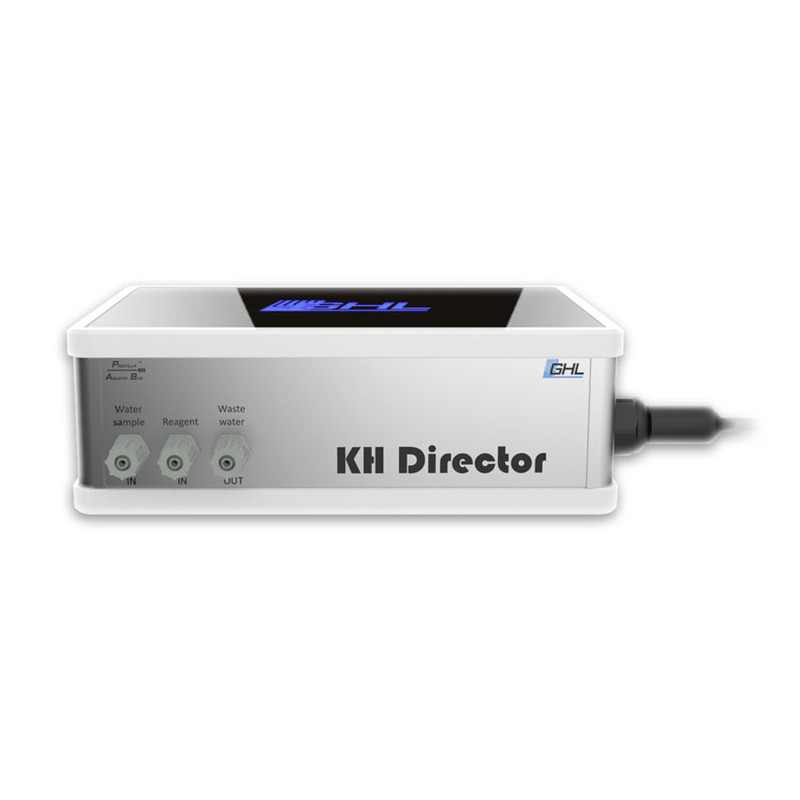 The KH Director® is connected to the GHL Doser 2 (2.1) Standalone via the ProfiLux Aquatic Bus (PAB). With this option, the GHL Doser has full control over the measurement process and behavior of the KH Director. The GHL Doser will control both its dosing pumps and the valves in the KH Director. This will allow the doser to evaluate the measurement results and calculate the KH value. The KH Director® is connected to the ProfiLux 3 (3.1, 4) and a GHL Doser 2 (2.1) Slave via the ProfiLux Aquatic Bus (PAB). With this option, the ProfiLux has full control over the measuring process and behavior of both the GHL Doser and KH Director. The ProfiLux will control the dosing pumps in the doser and the valves in the KH Director. This will allow the controller to evaluate the measurement results and calculate the KH value. Use between 1 and 5 dosing pumps to add liquids to the aquarium depending on the control difference, KHD automatically calculates the appropriate quantities. The dosages can be time-delayed if the liquids are not to be dosed at the same time and divided into several sub-quantities per day. It is also possible that the dosing pumps used follow a dosing schedule, the quantities calculated by the KHD are then added to this dosing schedule. In this mode, 1 to 5 dosing pumps can also be used to add liquids to the aquarium depending on the control difference. In this mode, you set a dosing schedule for the dosing pumps involved, and the quantities of the dosing plan are varied by the KHD. If the KH value is correct, the dosing schedule remains unchanged, if the KH value is too low, all quantities of the dosing plan are increased as a percentage. If the KH value is too high, the quantities are reduced. The quantity change is dependent on the control difference and is calculated automatically. In this mode, a calcium reactor can be down-regulated depending on the KH value. A calcium reactor is usually operated by CO2 addition and control of the pH value; the actual pH value in the calcium reactor is measured by a pH electrode. If you select this pH electrode in the KH Director Options, the KHD can switch off CO2 if necessary (KH target value reached), otherwise the normal CO2 control is activated. This mode is only possible with a ProfiLux aquarium computer. The KH Director® is designed to work in conjunction with a GHL Doser 2 (2.1) Standalone or a ProfiLux® Aquarium Controller 3 or 4 with a Doser 2 (2.1) Slave for operation. In order to operate the KH Director, you will need to have at least 3 available dosing pump motors. A single 1000ml bottle of reagent can last for up to 3 months when testing is performed 4x per day at a KH value of 8.